Podcasting is all the rage. It seems like the number of new podcasts grow exponentially each day. And for good reason. Audio content is one of the most consumable types of content in our hyper busy, on-the-go lifestyles. People are hungry for quality content they can consume while commuting, working out, cooking dinner or doing chores. It’s multi-tasking at its finest. The growth of podcasts is not just great news for us as consumers of media. For us marketers, it represents another opportunity and channel to reach target audiences and execute brand storytelling in an audible way. As more and more clients ask about launching a podcast, we turned to our friend and local podcast expert, Jeremiah Isley for the inside scoop. As Producer and Chief Engineer at podcast production and audio marketing firm Crooked Path Productions, Jeremiah shared his insights about the rise in brand-driven podcasts and what businesses need to know before getting started. Why should a brand launch a podcast? The world of podcasting is growing by leaps and bounds. It’s been interesting to see as podcasts have become more popular, brands are catching wind and looking to jump on the bandwagon to connect with audiences through audio storytelling. The research about engagement with podcasts is pretty compelling. Even if a podcast doesn’t have a giant following, the fact is the listeners you do have are engaged and giving their undivided attention. From a business perspective, this gives your audience a look into your business, personality and brand message in a deep way. Will having a podcast generate a huge amount of revenue? Probably not. But the long term ROI potential from developing those audience relationships can be invaluable. When does it make sense for brands to have a podcast? There are definitely certain types of businesses where a podcast makes more sense than others. One of the things you want to consider first and foremost is if you have storytelling content that will be compelling in an audio format, and go beyond just talking about your product or services. Toyota has a cool “Toyota Untold” podcast where they tell stories about people doing extraordinary things in their vehicles. There was one episode where a healthcare worker in Paradise, CA talked about how he used his truck to help patients and co-workers escape the devastating wildfires. That’s great storytelling about the real people using their products. What should brands think about before launching an owned podcast? We use a three-step process in helping clients launch a podcast. The planning phase is likely the most critical, as we talk about everything from content, tone and personality, length of the podcast and how frequently we want to publish. The recording phase is basically what it sounds like – recording the podcast and providing guidance along the way to perfect the recording. Finally, the post-production phase is where the magic happens, editing the raw recording so that the finished product ready for distribution and compelling for listeners. Obviously, the most important element to consider before launching a podcast is content. Do you have enough stuff to talk about in a compelling way? How long will your podcast be? And how frequently do you want to record? Most podcasts that publish regularly will have a new episode either weekly, bi-weekly or monthly. But one thing I’ve seen as an option for brands who don’t want to commit to an ongoing podcast schedule is recording a mini-series, which is a 3-4 part audio series about a certain topic. It’s a nice way to dip your toe in to audio content without a long-term commitment. What are the technical needs? There are lots of ways to get started. You can buy expensive, high-tech recording gear, invest in a quality microphone or even record voice memos on your phone. In addition to the recording equipment, you’ll need a hosting platform to publish the episodes once they are recorded. But the quality of the podcast usually isn’t about the equipment – it's about the work and people involved taking the story from your mouth and turning into the produced podcast. Finally, what are your favorite podcasts? In addition to a bunch of geeky audio content, I love the Tomahawk Show, a sports podcast from Joe Thomas and Andrew Hawkins, and I also regularly listen to The Phenomenon. We’re so glad Jeremiah could share with us some more about the world of podcasting! 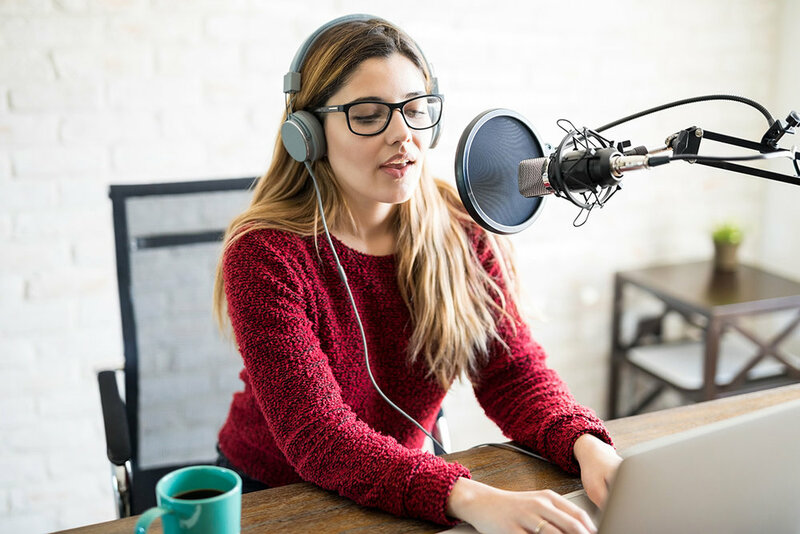 If you’d like to learn more about podcasting and the possibilities for audio content in your marketing plans, drop us a note at hello@approachmarketing.com. And, please share some of your favorite podcasts. We’re always looking for new series to binge.